His suspension follows series of allegations levelled against him. 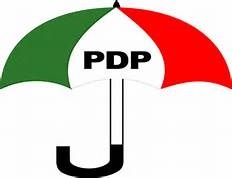 The state Publicity Secretary of the party, Musa Dan Birni, who announced Dansharu's suspension, said the decision was taken after the expiration of the ultimatum given to him to give account of the party’s financial position after the 2015 elections. ALSO READ: IS DR SID'S MARRIAGE IN CRISIS? Dan Birni said the embattled chairman had failed to give account of what was spent in the 44 local government areas in the state. But Dansharu had since debunked the reports of his suspension, claiming he remains the helmsman of the party in Kano. Speaking on Tuesday at a press conference, Dansharu described the move as unconstitutional, null and void, saying it is a ploy to destabilize the party. He argued that as a member of the national executive committee of the party, it was only the national body that could take any disciplinary action against him.